Cashmere skin isn’t about extremes—it’s not super matte—it’s just super wearable. And you have to agree that the models’ complexions look incredible. The secret is a powder foundation—now I know that most of you are total liquid converts, but keep scrolling to find out the clever trick that Wendy Rowe used to create this cashmere complexion with powder. We know you’ll want in. 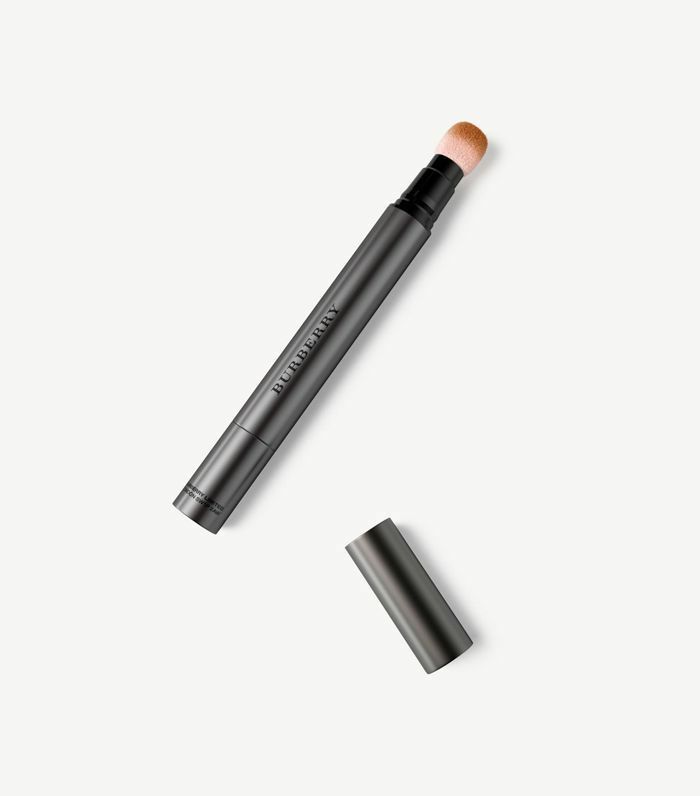 First, Rowe used a little Burberry Cashmere Concealer ($40) just to conceal any blemishes or redness. This look isn’t about covering the whole face, instead, it’s about strategically perfecting your complexion. 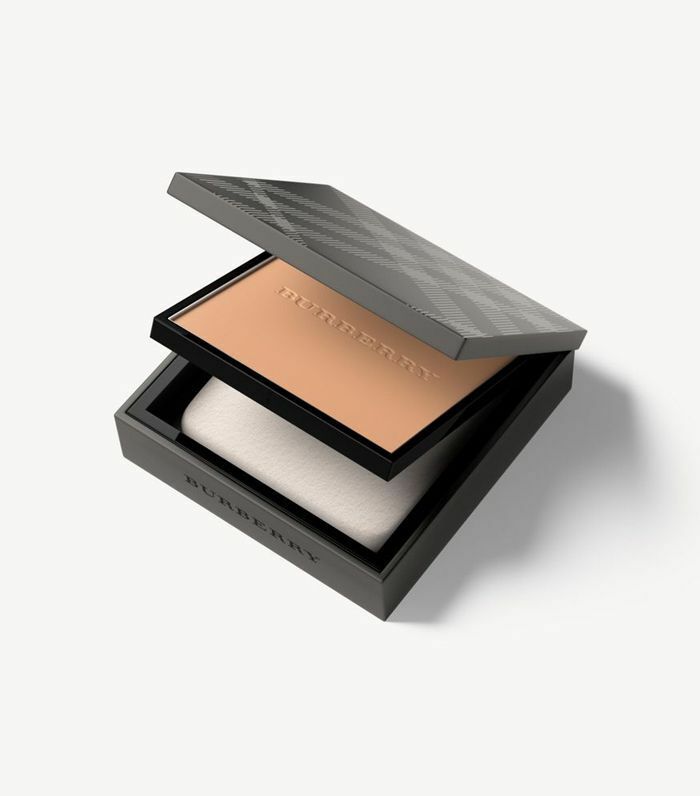 Next, she took the Burberry Cashmere Compact ($54), and using a big, fluffy brush, she dusted the powder onto the skin just as you would bronzer. (A noteworthy departure from our typical application, which involves a sponge.) Then she dusted the product across the forehead, the cheekbones, down the nose, a little on the chin, and down the jawline and neck. By changing up how you apply powder foundation, it instantly transforms what is traditionally thought of as a heavy, cakey base into a light, modern take on a matte complexion. “It’s the quickest makeup you will ever do,” said Rowe. I never wear powder foundation, but this application trick is seriously making me reconsider everything. While the models went mascara-less for the show, we say add mascara, a dusting of bronzer and a little cheek and lip tint, and you’ll be good to go. Perfect for Sunday brunch or to get you out the door looking pulled-together on a Monday morning, if you ask us. Next up: Our editors choose the best new foundations for fall.